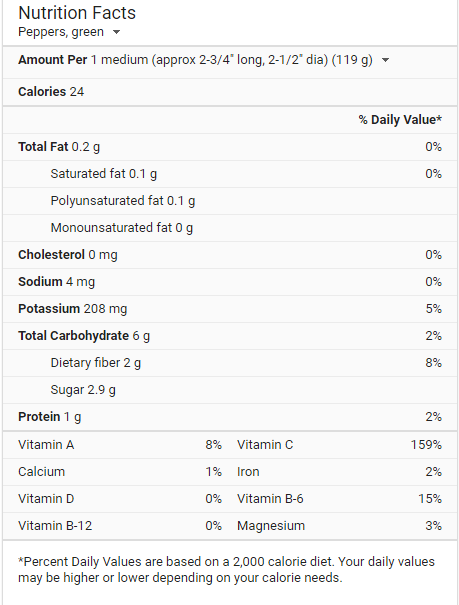 Food Costs > How Much Do Bell Peppers Cost? How Much Do Bell Peppers Cost? Bell peppers are named so for their bell-like shape, hence its name. Today, China is the largest pepper producer in the world, followed by Indonesia and Mexico. The cost of bell peppers can cost anywhere from $1.50 to as much as $3 per pound, depending on the time of year, type of bell pepper and geographical location. Since a pepper weighs around a half pound, this means each bell pepper can cost around $0.75 to $2. This price is often the same for both the green, red and yellow/orange. Most of your grocery stores and farmers markets will charge by the pepper, not by the pound. At Walmart, a green bell pepper retailed for $0.58 each, while a mixed bell pepper three-count pack retailed for $3.88. An organic variety green pepper would cost close to triple of that of a non-organic green pepper at $1.98 each. In bulk, a six-count bag of mixed bell peppers can cost close to $7 to $9. These are the prices commonly found at Costco or Sam’s Club. Bell peppers have a mild, sweet flavor and crisp juicy flesh. Most often, bell peppers are red, green, yellow, and orange (between stages of ripening). More rarely, though, the color can be white, rainbow, lavender, brown and dark purple, depending upon the variety of pepper. 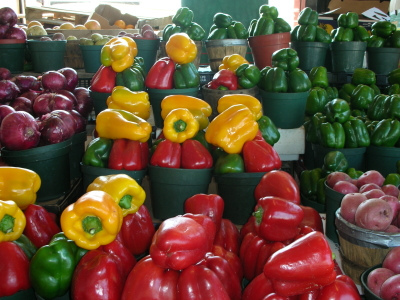 Green peppers are typically less sweet and slightly more bitter compared to orange or yellow bell peppers, with red peppers being the sweetest. Not only is bell pepper an excellent carotenoid source but a source of more than 30 different constituents of the carotenoid nutrient family. It’s also high in vitamin C and free of fat, cholesterol and sodium. The flavor of ripe peppers may vary depending on the growing conditions as well as post-harvest storage treatment. The sweetest bell peppers, for example, are allowed to ripen fully while on the plant in full sunshine. Fruit harvested green and then after-ripened in storage are generally less sweet. Bell peppers are native to Central America, northern South America and Mexico. The ideal growing conditions for capsicums include warm soil, ideally 70 to 84 Fahrenheit. The soil should be kept moist but not waterlogged. This is because bell peppers are sensitive to an plenty of moisture and excessive temperatures. A good bell pepper, according to Aldi, should be firm, brighter in color and heavy for its size. It’s always best to avoid any pepper that is either pitted, shriveled and/or dull. To adequately store green peppers, refrain from cutting them until you plan on using them. While storing, wrap them in a plastic bag and store them inside of a crisper inside of your refrigerator. If you want to freeze a bell pepper, slice the pepper as you normally would, followed by dropping them into a pot of boiling water briefly. Next, drop into cold water and vacuum seal them inside of a plastic bag. If you do it correctly, you can freeze them for up to six months. Green peppers, according to StillTasty.com, will last longer than orange or red peppers. Bell peppers will last up to two weeks in a refrigerator. Opt to buy bell peppers when they are in season, which is summer through the early fall since they can cost as little as $0.25 to $1 each.